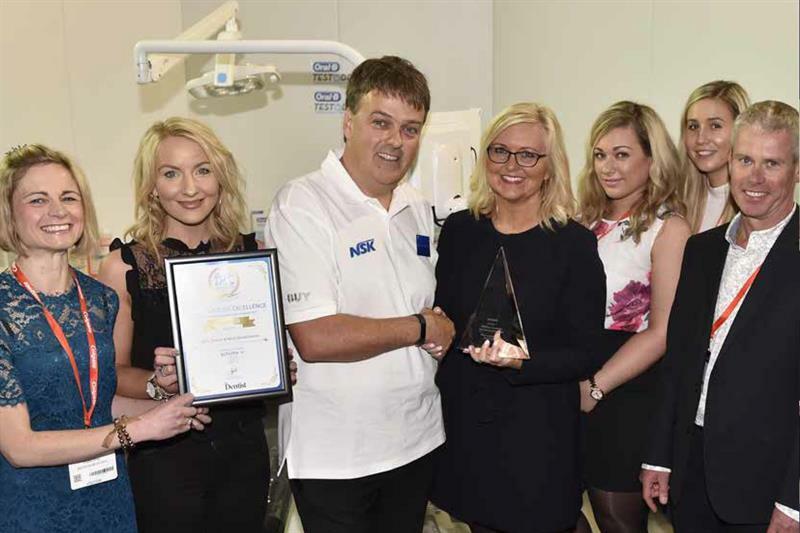 The Schülke Infection Prevention and Control Practice of the Year 2017 – in collaboration with The Dentist and Dental Nursing – is now in its third year and, this year, the competition saw scores of entries from across the UK. Judges selected a shortlist of eight practices that were then paid a visit so they could explain in more detail how their practice operates, how it approaches infection prevention and control and reveal any challenges they had to overcome. It was a tough decision for the judges but Milne, Spencer and Harris Dental scooped the title. The team was rewarded for its efforts at a presentation that took place at Dental Showcase last month at Birmingham NEC. They received a certificate and the stunning prize of an autoclave from NSK. The Highly Commended certificate went to Michelle Reid of Heath Dental and runners-up were Smile Together, Truro Health Park and Arden House Dental in Cheltenham. Milne, Spencer and Harris Dental is a two-site NHS practice (95%) based in West Yorkshire. Practice manager, Kate Morgan, says: ‘Infection control is of prime importance to our practice. Every member of the dental team who works within our clinical environment receives training in all aspects of infection control. ‘We aim to work to the best standard. We all ensure we comply with the latest HTM 01-05 guidelines and guidance. The practice completes the IPS online audit tool and often scores 100%. Frequent training, staying abreast of new guidance and regulatory expectations along with regular in-house audits all shape our infection control protocols. You can read all about their top tips for infection control in the November issue!